We prefer to see our patients on an appointment basis, so we request that you call in advance to reserve a time. The providers' schedules fill quickly, and so we request that you anticipate and call our office well ahead of the time of your annual well woman exam. Certainly, urgent conditions and emergencies are given priority. We encourage new patients to arrive 15 minutes prior to their appointment so that we can properly register you and collect information from you to help your provider with your care. In addition, please arrive early if your contact information or insurance plan has changed. Any lab test results and copies of medical records you may have. We will call you one or two days prior to your appointment to confirm the time of your appointment. To save time, we will pre-register new patients if we have not already done so. We will ask the usual questions regarding name, address, and phone number, and we will ask you for specific information from your insurance card. We require that you bring your insurance card(s) to your appointment as we will scan it into our computer. We will also ask to see a copy of your photo ID for identification purposes. If you must cancel or reschedule your appointment, please call us at least 24 hours in advance. Patients will incur $40 fee for No-Show appointments and for appointments cancelled less than 24 hours in advance. Our telephone lines are open throughout the day, Monday through Friday. A triage nurse is available between 8:00 am and 3:00 pm to answer your urgent medical questions. Calls will be triaged and answered in order of medical importance and will be appropriately addressed within 24 hours. When leaving a message, please include your name, date of birth, and a phone number where we can leave a detailed message with medical information. IF AT ANY TIME YOU FEEL THAT YOUR QUESTION MAY BE A MEDICAL EMERGENCY, CALL 911 OR GO DIRECTLY TO THE NEAREST HOSPITAL EMERGENCY ROOM. PLEASE DO NOT CALL THE OFFICE OR LEAVE A MESSAGE ON VOICE MAIL. After hours, our phones are answered by our answering service. The physician or midwife on call will be paged when appropriate. Please limit your after hours calls to medically urgent calls only. If you are expecting a return call from our office and you have call blocking on your telephone, please UNBLOCK your phone. Our office staff and providers cannot call back to blocked lines. Prescription refills will be processed for Established Patients ONLY who have been seen within the past 12 months. If you need a refill, please call your pharmacy and ask them to fax a refill request to our office to 630-655-3270. Your provider will review your chart and if she approves the refill, we will notify your pharmacy within 24 hours of receipt of your request. If your doctor or midwife requests that she see you in the office before approving a refill request, you will be notified by phone. We may approve one additional month of birth control pills for you if you are an established patient in order to give you time to schedule your visit. Please monitor your medication supply carefully to avoid an emergent situation. We appreciate adequate notice and sufficient time to properly process your refill requests. We will notify you in writing or by telephone message of normal test results, according to the preferences you indicated on your HIPAA form that you completed upon registration. Please be aware that it may take up to one week for us to receive your laboratory or radiology results, and from 10 to 14 days for us to receive pap smear results. If you are concerned about your results, you may call the triage nurse to check on the status of your results. Please be sure to leave all of the pertinent information on the voice mail message including the date and location of your laboratory test so as to expedite retrieval of your results. Should you have an abnormal result, your provider will call you to explain them. You may be asked to return to the office to discuss test results, as there are occasions when telephone consultation may not be appropriate. This may be true for both normal and abnormal results. Since the founding of this practice, we have always offered the best medical care possible. In order to continue to do so, we have implemented a Patient Financial Policy. We send monthly statements to inform our patients of any balances due, and we also remind patients of money due when they call to schedule appointments and when we call to confirm appointments. We expect that patient due balances will be paid upon receipt of our statement, or at the next visit. In order to make it easier for our patients, we accept cash, checks, money orders, VISA, Master Card, and Discover. All may be given as payment at the front desk or sent with statements. For self-pay patients: We expect payment at the time of treatment for patients who have no insurance coverage. We will do our best to give patients an estimate of the charges the day ahead of their visit when we call to confirm their appointment. Before visits, we will expect payment of the actual charges by one of the methods listed above. For large balances, and also if a surgical procedure is necessary, we will work with our patients to develop a payment plan. Please call our office and ask to speak with our billing specialists. For insurance patients: We require that patients bring their insurance card with them to each appointment in our office so that we can be sure that we have correct insurance information on file, and we will scan it into our system if necessary. As a courtesy to our patients, we will file a claim with their primary and secondary plans. Also, if the plan has a copay, we expect payment when upon registration for visits. When primary and secondary plans have paid their portion of the charge, the remainder will become the patient's balance and will be indicated on the statement patients receive from our office. While our billing professionals will do all they can to help our patients in communicating and negotiating with their insurance plan, we must inform you that any question regarding coverage, benefits, or payment for services provided, is your responsibility to resolve. Any balance on a patient account, for any covered or non-covered service, that is 30 days old, will be considered due, and is the patient's responsibility to pay. Any balance on an account that is greater than 30 days old is considered past due. It is our policy to send two statements (at 30 and 60 days) and make one phone call to patients before taking further action on their account. In the event an account is placed with an agency for collection purposes, the patient will be responsible for all collection agency fees (up to 35% of the balance placed for collection). In addition, the patient will be responsible for all court costs, filing fees, and attorney fees should this account require litigation. For surgical procedures and maternity care: we will help our patients communicate with their plan to learn of their payment, and then arrange a payment plan for their portion of the charges. For medical patients: As a courtesy to our Medicare patients, we submit claims electronically to Medicare on a regular basis and also submit to Medigap (secondary) coverage. We require that patients bring their Medicare and Medigap cards with them to each appointment. The physicians and staff of West Suburban Women's Health will release copies of patient's medical records in accordance with the provisions in Illinois law and with the national HIPAA regulations. This means that patients requesting copies of their medical records must fully complete the form below and send or bring it to the receptionist at the office of West Suburban Women's Health, 545 Plainfield Road, Suite C, Willowbrook, IL 60527. The form may also be faxed to our office at 630-655-3270. Please note that separate signatures are required on some of the types of records that can be released. Without a signature, we cannot release that information. Please also note that a fee will be charged for release of medical records depending on the number of pages that must be copied. This fee is allowed by law to cover the expense of copying the records. In an effort to help you, we have provided a description of the different types of visits that women may schedule with our office. Since insurance companies base their payments on the type of care your doctor provides, it is important for you to have an understanding of these different types of visits and to check with your insurance company to learn which ones are included in your benefits before you call our office to schedule an appointment. The recommended guidelines for women indicate that every woman should have a yearly gyne exam starting at age 18. In our office, we follow these guidelines and will remind our patients via postcard when it is time to call the office to make an appointment for their annual gyne exam. These visits include examination of the following: Neck and thyroid Breast, heart, and lungs Abdomen Pelvic area Pap smear (checking cervical tissue) Order for a mammogram National coding guidelines give us a series of codes to bill (new patient: 99384 – 99387; established patient: 99394 – 99397) for these exams based on the patient's age, and a diagnosis code of V72.31 (routine gynecological exam). These is the type of visit that is scheduled when a patient calls our office and has a health issue such as headaches, pain, problems with their menstrual cycle, swelling, etc. Our doctors will ask questions about the patient's health history, perform an examination, possibly order tests, procedures, or medication, and provide the patient with the best care possible based on their skill and judgment. The national coding guidelines give a series of codes to bill for these kinds of visits based on whether the patient is new or established, and based on the amount of work the physician does and documents in the chart. (New patients: 99201 – 99205, established patients: 99212 – 99215.) 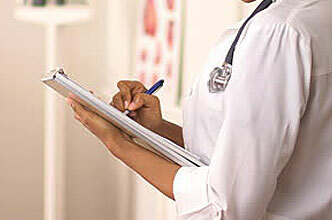 The physician also assigns a diagnosis code based on the symptoms of the patient. 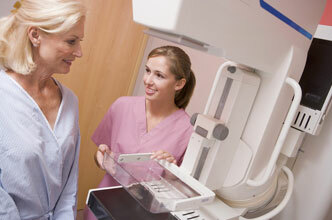 This kind of visit is usually subject to deductible amounts included in most insurance plans. The national coding guidelines for these types of exams give us a series of codes for the physician to use based on the patient's age (new patient: 99384 – 99387; established patient: 99394 – 99397), as well as a diagnosis code of V70.0 (routine general medical exam). When you call our office, our staff will ask you what kind of appointment you wish to schedule so that we may allow the appropriate amount of time. If you schedule your yearly gyne exam, but also have a medical issue that you wish to discuss with your physician, national billing guidelines require that we bill for two kinds of service provided…your annual gyne exam and also a problem/sick visit. We strongly suggest that you contact your insurance company so that you understand your benefits with regard to each type of visit. If you have questions, with regard to visit types, please call our office (630-654-2229) and ask to speak with a receptionist, one of our billers, or the practice administrator. We will be happy to assist you.